As the negotiations on a comprehensive immigration reform among key stake holders enters its last phase, a top American Senator believes that the Senate would be able to vote on a bill in this regard by this summer. "By this summer, I hope that all members of the Senate will be able to vote for or against comprehensive immigration reform and that each member will take into consideration the significant process that the Senate Judiciary Committee will have completed," Senate Judiciary Committee Chairman Patrick Leahy said in a letter to the Republican Senator Marco Rubio On Tuesday. The Republican Senator from Florida is among the eight key Senators -- called the gang of eight -- who are holding the negotiations. Some members of this group said over the weekend that they have almost reached an agreement and a draft of the bill would be available by May. Leahy's letter to Rubio was in response to his letter concerning the Committee's timeline for proceeding to legislation. The former US Ambassador to Mexico Antonio Garza said to continue to attract and retain those who want to better their lives by coming to the US and contributing to economy, the US must adopt a sensible immigration policy. "Our main economic competitors are structuring policies to lure immigrant talent. "Without immigration reform, we risk seeing those who would come to the US to work hard and get ahead, innovate and invent, and start and grow companies go elsewhere. "Our great country can't afford such an outcome," he said. Garza said several recent studies underscore just how significant immigration has been in helping drive US economic success. For instance, that 18 per cent of the companies on the Fortune 500 list (the annual ranking of top American companies by revenue) were founded by immigrants. These 90 companies span all sectors of the economy, generate more than $1.7 trillion in annual revenues and employ more than 3.6 million people worldwide. They include such recognizable names as Goldman Sachs, AT&T, Google, DuPont and US Steel, he noted. Immigrants also fuel small business creation, a reflection of the entrepreneurial drive that is typical of an individual who leaves home to start a new life abroad. Eighteen per cent of US small business owners are immigrants, according to a study by the Fiscal Policy Institute, and 30 per cent of small business growth over the past two decades has been because immigrants, Antonio Garza said. Immigrants are more than twice as likely to start a business as the native born, according to the Partnership for a New American Economy. This is an important insight given that new business generation, which has reached its lowest rate in 30 years of recorded data, is critically needed to spur economic growth and job creation. In 2011 immigrants started 28 per cent of all new businesses, employing 1 in 10 US workers and adding more than $775 billion dollars of revenue to our GDP, the study found. 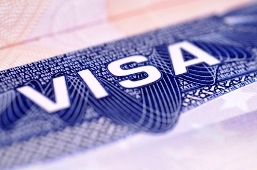 "Many of the new businesses immigrants start are in the high-tech sector," the former US diplomat said. The National Venture Capital Association reports that a quarter of new venture backed tech companies are immigrant-led. And foreign-born inventors have contributed to more than 75 per cent of the patents issued to the top 10 patent-producing US universities, another study found. Moreover, foreign-born students who graduate with a degree in science, technology, engineering or math and remain in the US for work create an estimated 2.62 American jobs. "We need such graduates in order to retain our global competitiveness and to surmount a looming skills gap," he said.